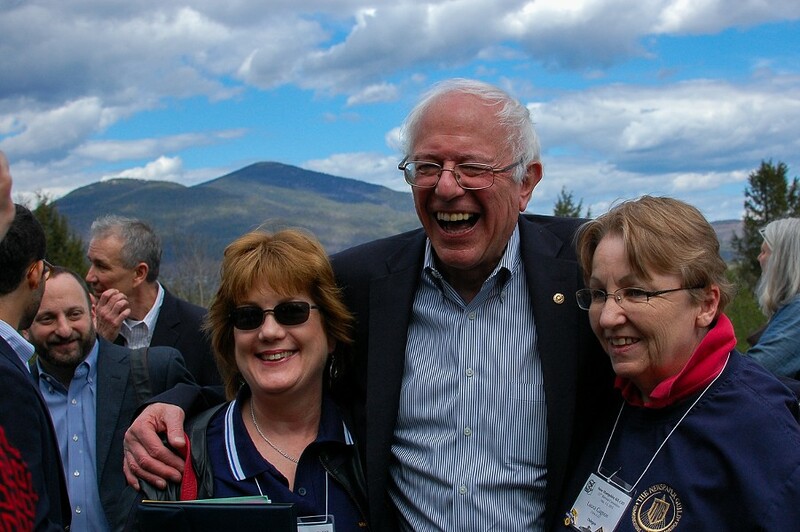 Sen. Bernie Sanders campaigns in New Hampshire earlier this month. Sen. Bernie Sanders (I-Vt.) will host a campaign kickoff next Tuesday afternoon at Burlington's Waterfront Park, his campaign announced Wednesday. 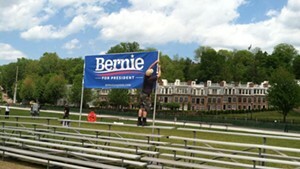 Vermont's independent senator announced three weeks ago via email that he would seek the Democratic nomination for president and held a brief press conference outside the U.S. Capitol later that day. Next week's event promises to be a more celebratory affair, featuring free Ben & Jerry's ice cream — of course — and music by Mango Jam, the Vermont-based Zydeco/Cajun band. Feel free to bring your hula hoops, glow sticks and goo balls. During his kickoff speech, Sanders plans to outline his "Agenda for America," which will likely be a bit of a downer. 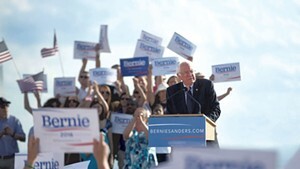 The day after the announcement, Sanders will head to the early primary and caucus states of New Hampshire and Iowa, his campaign said. One pol who likely won’t be standing by the candidate’s side at next week's event is Gov. Peter Shumlin. He joined other top Vermont Democrats — including Sen. Patrick Leahy (D-Vt.) and Burlington Mayor Miro Weinberger — Wednesday in endorsing Sanders’ Democratic opponent, former secretary of state Hillary Clinton. “Proud to endorse @HillaryClinton—a lifelong champion for everyday Americans. 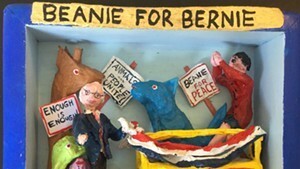 –Peter,” Shumlin wrote on Twitter shortly after Sanders unveiled details of his campaign kickoff. The Burlington event will take place at Waterfront Park Tuesday, May 26, at 5 p.m. The rain location is Burlington's Memorial Auditorium.